Sell your iPhone 6S Plus 32GB by making use of OnRecycle's nifty comparison service today! We compare all major phone recyclers in seconds, so you can sell your iPhone 6S Plus 32GB online with ease. 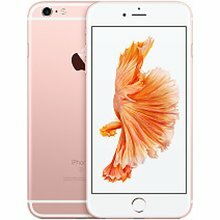 Browsing the internet for iPhone 6S Plus 32GB trade in prices can be tricky, but thanks to OnRecycle, you needn't bother! We'll help you recycle your iPhone 6S Plus 32GB within minutes, providing you with quotations from a range of major recyclers. So, you can tick "Sell iPhone 6S Plus 32GB" off your to-do list, once and for all!